B2B Marketing landscape has changed a lot and the customer has moved his status from simple customer to actor consumer. This has a direct impact on leads generation. New approaches solutions need to be set. 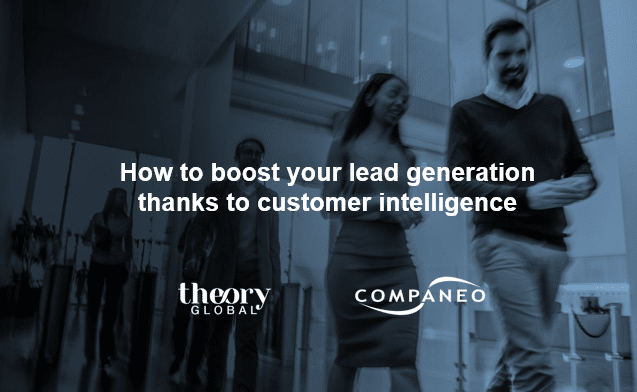 It is in this aim that Mohamed Khodja, Europe Customer Director for Companeo Groupe brings some answers by inviting, VP Demand Strategist at the TheoryGlobal during a webinar dedicated to “Customer Intelligence” and leads generation. « Customer Intelligence », What is it? Clément Hurstel defines it as all the activities leading an organisation to orientate his reflexion and action abilities to satisfy his customers. 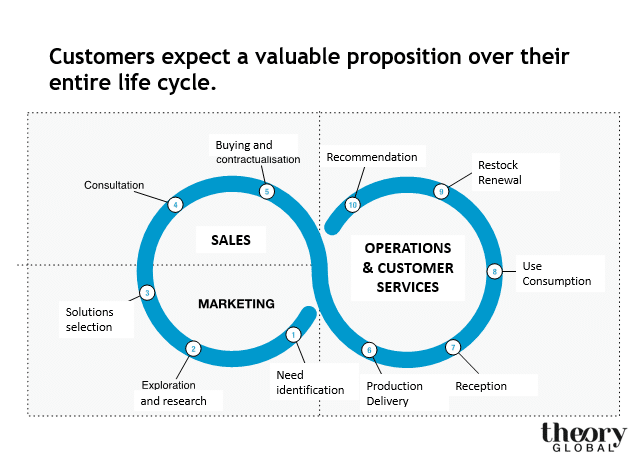 During this webinar, our speakers are making a situation analysis of changes that are impacting B2B marketing and are giving some recommendations to follow to adapt: they advise to put the customer at the heart of the proposition of the company value. Finally, they explain us the importance to establish what we call the persona. 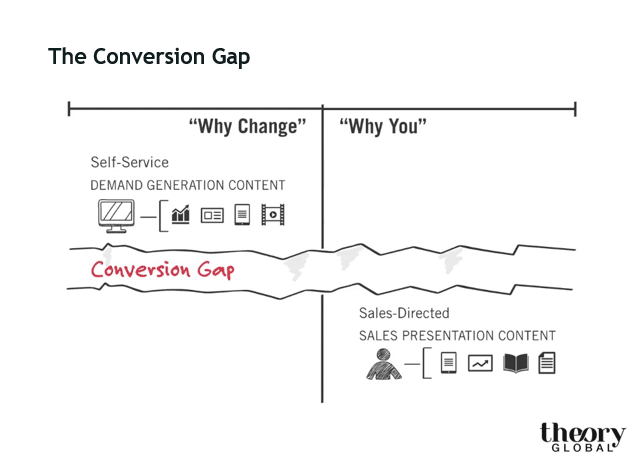 We can sum up the changes that impact marketing B2B during the webinar in 3 points. The first one deals with the multiplication of communication channels that had created a data overproduction. An overproduction that leads to a questioning. 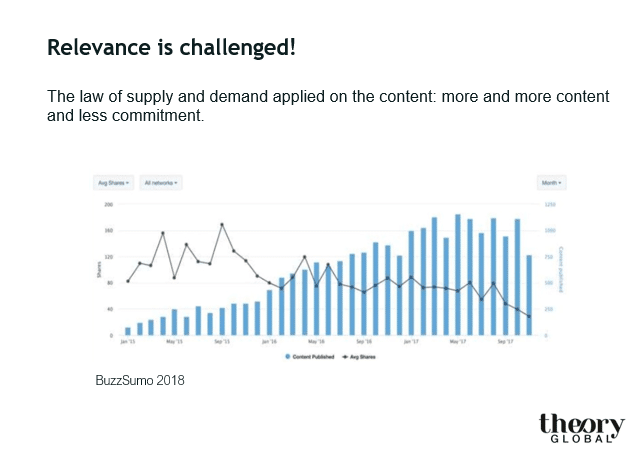 Indeed, the figures show that the link between marketing content production and prospects/customers answers in terms of commitment has been reversed. 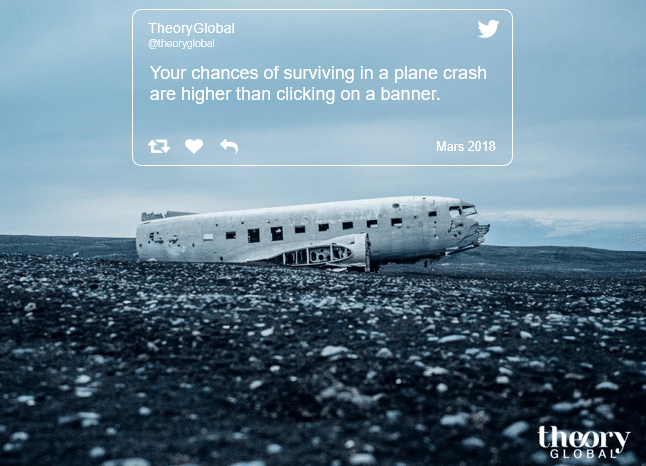 Facing that tendency, content performance broadcasted by companies to catch their targets attention is challenged: a lot of efforts have been deployed to finally capture “a hint of interest” that will not be necessarily remunerator. In a second point we have the demand; In fact, we can see a change in the customers buying behaviour that has been largely digitalised. Today prospects tend more and more to document themselves on their need, without communicating with professionals in their fields. They operate their researches on internet and put themselves through a sales person in a very late delay during the buying process. SiriusDecisions explains that 67% of decision-making is done “online” by the own customer’s initiatives. This new “phenomenon” is reducing considerably the job and the action field of the sales and the marketing department and it is challenging it to a perfect coordination. A lack of alignment and coordination usually give birth to a “conversational gap” between the two sides. The phase « WHY CHANGE » during which one prospects explore their own needs and identify the possible solutions to satisfy them. This phase is usually feeds by marketing that broadcasts the content (Leads generation) to catch the attention, educate the customers on their needs and the way to find out a solution. It is at this moment that marketing is looking to develop and give knowledge to the solution value proposition that he is suggesting. At this stage, the result emphasised is that leads had constructed a mental history (a « BUYING VISION ») that will host their true decisions criteria (elements that tend to be more intangibles than factual, like a company reputation, the prestige to work in a company more than another, the fear or desire to innovate…). It is strong of this “BUYING VISION” that prospects will choose suppliers that will answer their needs in the best way. The second phase, which is “WHY YOU”, understand “Why do I buy you”; During this phase, the customer is calling the sales department to obtain more information or concretized to finalise his decision. We easily understand that the collaborations between WHY CHANGE and WHY YOU have a particular impact in the commercial efficiency and leads generation. If Sales are not telling the same story as Marketing, it simply means that it is not targeting the right prospect need! Finding qualified leads become a complex process for these companies and internal pressures appear. Sales demand more leads in the target and in the buying position. Mohamed Khodja adds that “to answer this problematic, a lot of companies choose to externalise their leads. A tendency that we can see more and more today at Companeo in big companies as well as in very small businesses or SMEs; Therefore 50% of companies externalise at least 30% of leads generation according to the last B2B lead barometer”. To bring back together the two parts in a productive operating way, the key of success is to go back in the ecosystem heart, that is to say the customer. Data is important as it feeds marketers in commercial activity data. But its importance is limited as it does not explain the motivations that have triggered the buying action. It is at this precise moment that understanding the customer needs become a fundamental role. Understanding the customer involves that we are interested to the all buying cycle as we can see on the diagram below: from the need identification to the buying action fulfilment passing by information research and selection solutions… but as well as the implementation, the exploitation and the extension phase. At each decision-making process step, the implication of various departments is now necessary. In order to understand and decode this complexity, new professions linked to leads generation and more precisely to behavioural data treatment have appeared. A lot of studies have shown that usually 3 to 4 departments are involved in a B2B buying which leads to the intervention of several persons that you will have to convince during all the customer decision-making process. As an example, during a technological buying cycle, 4 persons are usually included in the functional committee. The fact that the number of departments/services are involved means that there is also a danger of “paralysis decision », or said differently, the apparition of a status quo. This last one is defined as the no decision-making which can have different origins: internals as externals. Another type of status quo is added in the leads generation and can be expressed by an important lack of winning: « 20% to 30% of the 10 leads that we send to our customers will never sign because the project is cancelled or postponed. “This rate is sadly and hardly understandable” said Mohamed Khodja. This rate goes up to 70% in the U.S.A. There are few reasons: change of decision-maker, budget restriction, fear of commitment etc… The status quo is a day to day entire part of marketers and sales persons. 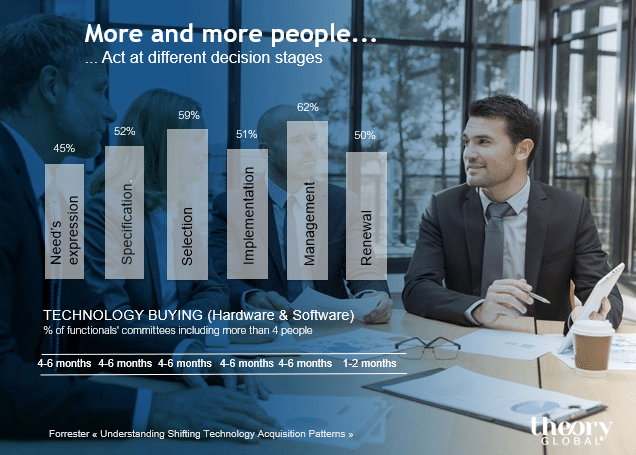 The interest that we will have on the customer decisional process and on the understanding of his needs will make it possible to anticipate this status quo lead by dedicating some initiatives to federate the taking parts of the buying decision around the same “BUYING VISION”. Personas appear to be a perfect solution to a better understanding of their customers and improve the content efficiency that we send to them. Clément Hurstel insists on the benefits: it is a tool that allows you to understand your customers, improve the content efficiency, tactics and Sales Enablement. All of this with precise goals and first oriented to the “customer”. The adoption of this system allows companies to develop their « customer knowledge » and boost the decision-making inside the company. The individual: his history, values and motivations. What is important for this individual? His role and mission: What is his role in the company? Is he operator or decision-maker? Strategic or managerial? What are his priorities and goals he must face? His value system: What does he enhance? What does have value for him? For his customers? His obstacles and motivations: What does make him act? What does make him stop? His use and activities: What are the use and activities? What are the digitals use? What can we make him learn? His customer journey: What is his role during the buying decision? 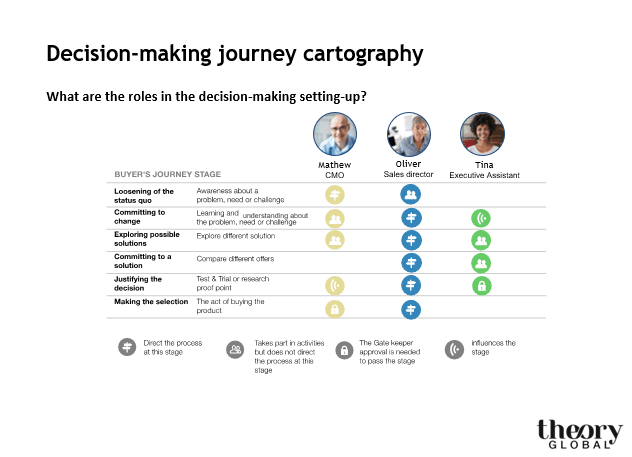 Once these points defined, Clément Hurstel, suggests proceeding to his decision-making journey cartography. This step consists on structuring the decision company approach by analysing the Buyer’s Journey, that is to say the customer decision-making path and define the departments to involve in each phase of his journey to evaluate the broadcasted contents. When it is based on the targeted public understanding and their needs, content evaluations give systematically a strong setting to audit the material to be broadcasted, identify the problems and prioritise creation efforts. Chances to convert lead are now increasing as the customer buying cycle is in this way furnished with the different intervention possibilities of the company in terms of content and initiatives from the concerned departments. To conclude, Customer Intelligence development allows a company to align its marketing, sales and offers initiatives to generate leads in a more efficient way. This alignment will also make it possible to solve the status quo which can appear during all the customer decision-making process. It will also make it possible to generate business more efficiently by making contents and marketing and sales dispositive more adapted to their prospects; Including by eliminating wasting and by constructing a pertinent valuable proposal to all the phases of the buyer journey. Finally, it is also a transformation approach to put the customer culture at the centre of the teams and its organisation.